Spiritual heir of Shri Yogeshwarji, Maa Sarveshwari was born on November 13th, 1943 in a small village, Kapura near Vyara in Southern Gujarat. Born to a rich yet religious farmer's family, she was youngest of six kids of Kalidas and Bhikhiben. After her school education, she moved to Surat for further studies. She graduated in Arts with flying colors and received 'Umashankar Joshi Gold Medal' for her outstanding achievement in Gujarati language. After completing her studies, she started as a teacher at Sadhna Vidya Bhavan, Surat where she later became Principal. It was December of 1970, when she first met Shri Yogeshwarji. In no time, she recognized him as her spiritual master. 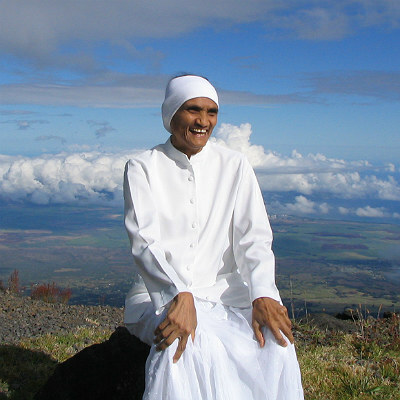 Her pre-birth samskaras changed the course of her life and she began her journey on the divine path. 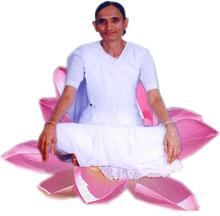 Active and timely guidance from her Guru Yogeshwarji increased her enthusiasm manifold and she was encouraged to stay often at the Maun Mandir (Temple of silence). 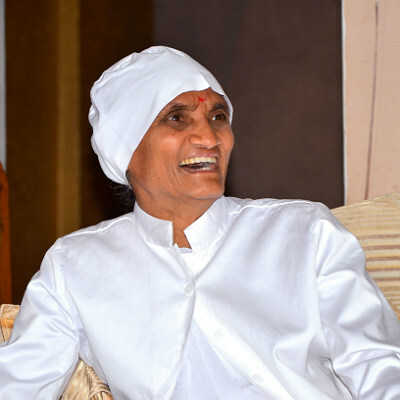 With utmost passion and zeal, she devoted all her time after spiritual advancement. Her spontaneous conversation with the Divine took the form of melodious Bhajans. Later on, 'Arghya' marked the publication of her first collection of Bhajans followed by another entitled 'Anjali'. During the South India tour with Shri Yogeshwarji, She was blessed by an extraordinary diksha (spiritual initiation) at Shrishailam. Thereafter, her spiritual progress became unhindered and her life became subtly changed and charged. In 1979, by the command of Mother Goddess, Yogeshwarji gave her a new name 'Maa Sarveshwari' and thereafter she became known by her present name. November 9, 1979 marked the turning point in her life when Shri Yogeshwarji had a fatal heart attack and was admitted to hospital. 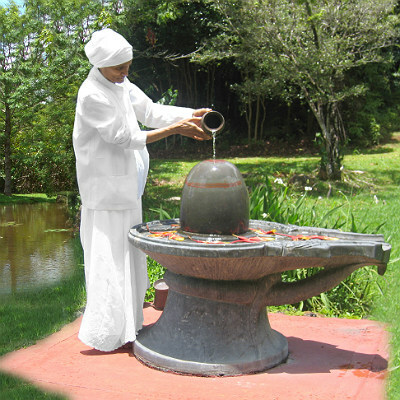 Without any hesitation, she resigned from her post of Principal and forever decided to be at the service of her Guru. With her sincere service and prayers, Yogeshwarji recovered. Thereafter she stayed with Yogeshwarji. She accompanied him in India as well as abroad to USA, UK, Canada and South Africa on spiritual mission and actively contributed there with her performance of Yoga and her melodious bhajans. 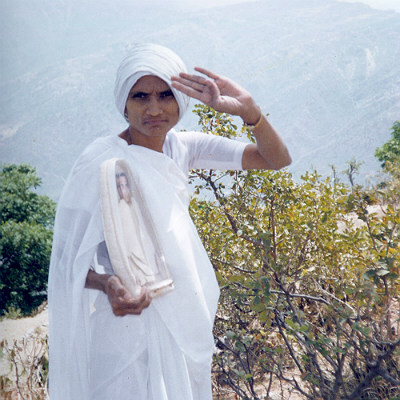 March 18th, 1984 Yogeshwarji left his physical body but she steadfastly continued to worship him. Devotees looked at her as a spiritual heir of Yogeshwarji. She proved her mettle in an extraordinary way. She left taking food grain from that day yet took charge of all activities and began managing it in her own superb way. She not only fulfilled the dream of her Guru, but exceeded everyone's aspiration by building a magnificent complex at Ambaji on the land selected by Shri Yogeshwarji. Today, Swargarohan is abuzz with manifold benevolent activities like medical camps, eye operations, food giving, cloth giving, etc under her active guidance and utmost involvement. In 2003, a grand celebration - 'Sannidhi Parva' at her birth place Kapura marked 60 years of her inspiring life. Thousands of devotees from India and abroad participated in this unique divine festival. She showed the world that in a small looking physical body lies all powerful soul. More than 21 years (since March 18th, 1984) without a single food grain, she displayed that with strong determination and sheer will power, one can achieve anything in life beside God's grace. A living legend, Maa Sarveshwari is an idol of devotion and love. Her blessed vision is enough to fill one’s mind with peace and divine joy.